Your wedding deserves the best. 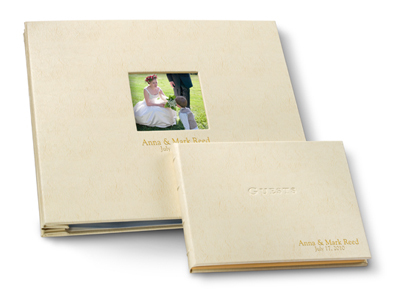 Our assortment of coordinated table top wedding albums, wedding guestbooks and wedding journals will help make the event everything you hoped it would be. And you can preserve the memories of that day for generations to come with our Gallery, Slimline, Compact and 6-up display photo albums. Each is elegantly crafted using the finest bonded leathers and archival, acid-free materials.